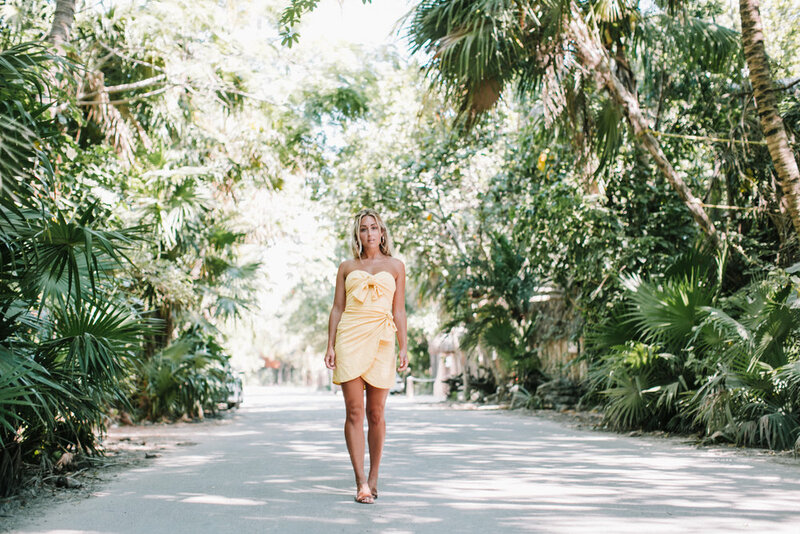 Tulum is one of my most favourite places to visit...there is juts something about it that makes you feel inspired & rejuvenated and happy. It is the perfect mix of beach (with the most beautiful sand) and sun and cool fun stores and amazing restaurants & street food and the kindest people - I am in love! We also had dinner at the most delicious restaurant, Arca~ first of all, eating outside is my favourite thing about Mexico, and the vibe in the restaurant was perfect...welcoming but so cool. The food was absolutely delicious, every bite was yummy! We had a really amazing waitress who took us through each dish (the menu doesn't explain much, but the servers are very knowledgeable so she helped us choose our dishes and we all just shared) We ordered two of the fingerling potatoes because they were so good, as well as the sourdough bread that was served with Mayan salt - it was insane! We also loved the fish ~the sauce was amazing. I highly recommend! Tulum is magic, and I can't wait to visit again soon!